Thread Standard: 6:100, which conforms to International Standard and GB. Extension Tube Length: 10cm, 15cm, 20cm, 25cm...300cm is available. Pressure standing:150psi for extension tube. 3 way connection is convenient and firm. It is not necessary to interrupt when you have to convert the medicine. 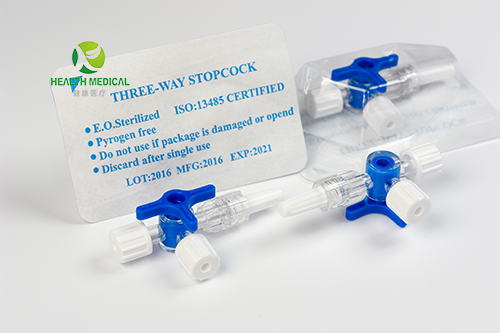 Link stopcock has minimal dead-space to ensure administration of drug. 360 degree smooth tap rotation. leak proof up to 5 bars pressure and can withstand the pressure applied in normal procedures. One male luer lock with rotator and two threaded female ports facilitate safe & secure connection. Arrow indication marks on the tap to indicate the direction of flow.Low profile for stable & safe positioning on the patient’s body. 6% luer taper for compatibility with any standard product. It won't produce eddy current, it can reduce thrombosis. It's easy to operate and practical. It could be rotated 360 degree, and the arrow instructs the directions clearly. Compression performance is 0.6bar/15s, 4.5/30mins. Hydraulic pressurized infusion and blood pressure monitoring are safer. Remain amount is less than 0.08ml. Strong structure and circulation flow channel make it no air accumulation and uninterrupted flow.